BigPen is part of the company Zinkvit founded in 2007 when the online shop www.zinkvit.se started up. Today Zinkvit is one of Sweden’s most well stocked stores for artists’ materials. 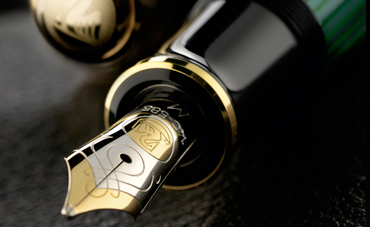 BigPen is our new online store for fine writing instruments and accessories. 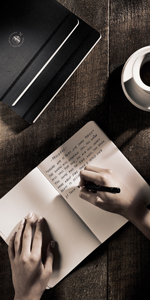 The process of writing entails a degree of freedom and to do so using an excellent pen stimulates the desire to write. We have consciously chosen products that work in an inspirational way. BigPen embraces both tradition and the modern, both the old and the new. Quality as well as design must be superb. Most of our manufacturers follow long traditions of craftsmanship and you are most probably already familiar with many of our brands. However, at BigPen you will also find new and exciting products that help contribute to the diversity of our goods. BigPen wants to enhance our suppliers and their craftsmanship. You will therefore find links to our producers’ home pages and to other material that showcases their ideas, traditions, and of course their products. We are proud of all our producers and can warmly recommend all the products available at BigPen. It is important to us at BigPen that our customers enjoy the shopping experience. Part of this experience should be the encountered quality and a true sense of security throughout the whole process of ordering, payment, and delivery. Our success is founded on your reception of the best possible service.